Ready to be whisked away to a relaxing getaway? Your new home awaits! Imagine coming home and having your cares melt away while unwinding next to the NEW SCREENED SALTWATER POOL with beautiful pavers. This single level home has room to roam with 4 bedrooms and 2 baths, split plan, bonus family room and a fenced yard. Located in a quiet community, only minutes to the beach and close to everything! You'll love the open kitchen with LED lighting and cozy family room which is perfect for entertaining. Enjoy a true master suite with a walk-in closet and en-suite bath with stand up shower. Experience the seasonal cross breeze with a slider that opens from the family room to the pool area and a 2nd slider to a covered patio. The curb appeal is highlighted with new exterior paint, colorful landscaping and open front patio with pavers. Additional features: Plantation shutters throughout, no popcorn ceilings, 2018 AC unit, 2nd AC 2015, ceiling fans, and NOT IN A FLOOD ZONE. 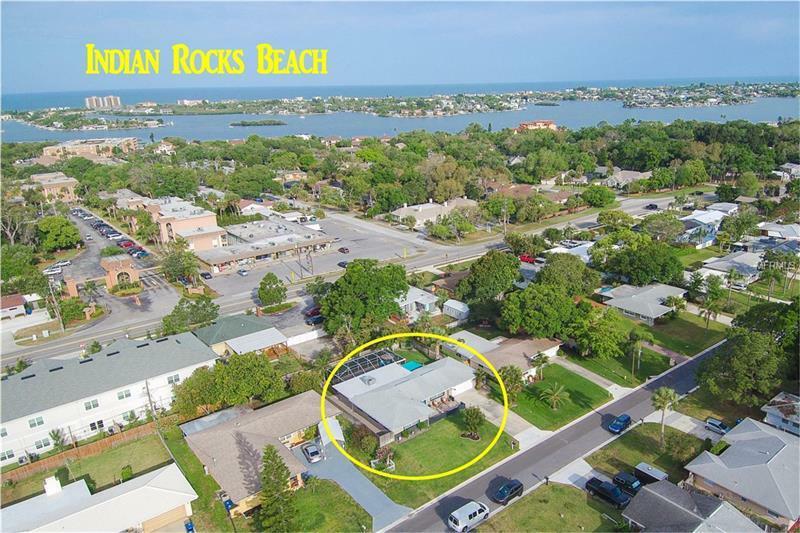 Easy commute to pristine beaches like Indian Rocks Beach or Sand Key, Tampa International Airport and excellent schools.